Welcome to my gourd art site. I hope you enjoy looking around. 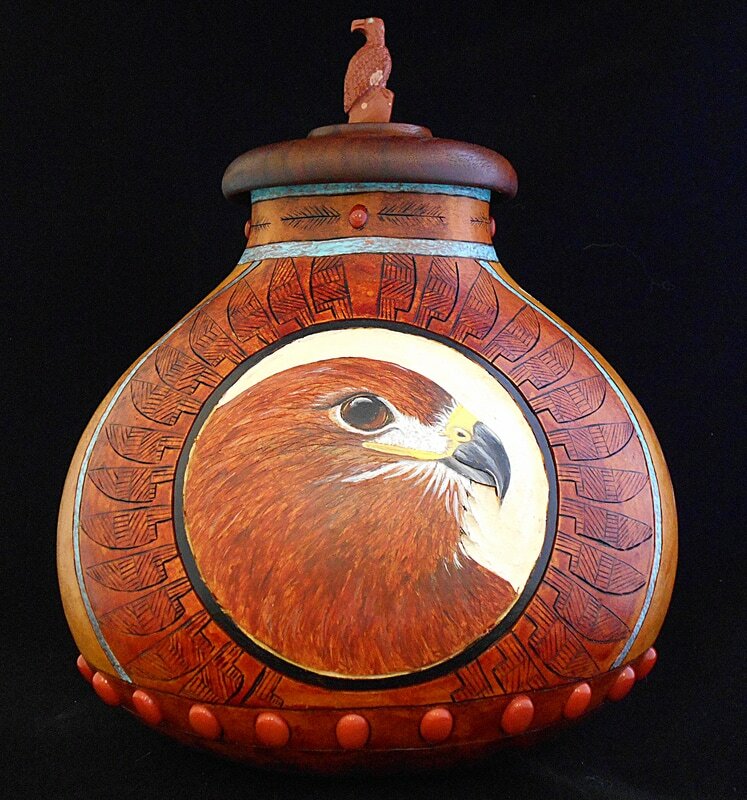 Please contact me if you have questions, wish to purchase a gourd, or are interested in a special gourd commission.